The University of Notre Dame’s College of Arts and Letters will launch a doctoral program in the Department of Anthropology, with the first cohort of students due to enroll in fall 2014. The new program, says Susan Blum, professor and chair of the department, will focus its curriculum and training on integrative anthropology. “The strengths of Notre Dame’s anthropology department are in its commitment to multiple approaches to understanding humanity and its diversity, willingness to face big questions, individual excellence in teaching and scholarship, exceptional mentoring of students and engagement beyond academia,” she says. When the program launches, it will be the only doctorate in anthropology offered by a Catholic university in the United States. “The excellence of our faculty and the research opportunities in conjunction with many important programs at Notre Dame make this an opportune moment to begin a small, superb Ph.D. track,” says John McGreevy, I.A. O’Shaughnessy Dean of the College. 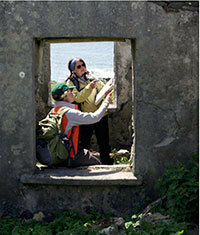 Programs with ties to current anthropology research efforts at the University include the Kellogg Institute for International Studies; Kroc Institute for International Peace Studies; Keough-Naughton Institute for Irish Studies; Reilly Center for Science, Technology and Values; Mendoza College of Business; and the College of Science, particularly the physics and biology departments. “Having strong faculty — themselves prominent and pre-eminent in a variety of fields — will attract attention from the nation’s best undergraduates seeking strong, ethically engaged training for work in academia or outside,” Blum says. 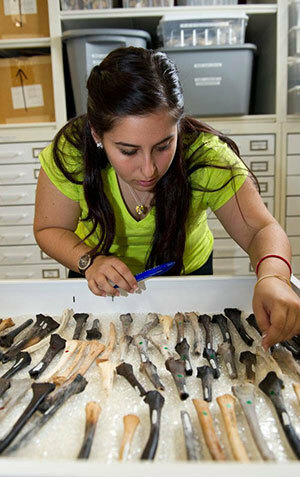 The Ph.D. program is a welcome addition to the Department of Anthropology, joining an undergraduate program that received high praise in 2010 during the department’s most recent external review. Citing the department’s strong integrative approach to anthropology and the fact that its undergraduate program “has characteristics of a high-quality graduate program at the master’s degree level,” the review board’s top recommendation was to establish a graduate track. In addition to providing new research and teaching opportunities for faculty, she explains, the graduate program will provide academic role models, deeper research engagement and more class discussion sections for undergraduates. Professor Ian Kuijt will serve as inaugural director of graduate studies. The program eventually will enroll 25 students, with entering cohorts of five to six students each year; the expected time to degree is five to six years. Many anthropology doctoral programs produce graduates who are excellent researchers in a particular subject area, she notes, but they’re not necessarily prepared to take on the full range of duties associated with an academic or nonacademic career. “We will have something to offer both students and the field: an opportunity to reinvent graduate education for the 21st century,” Blum says. “We will prepare doctoral students who have realistic — and idealistic — plans for their potential contributions to the world following completion of their degree. Applications to the doctoral program will be due Dec. 15, 2013. Originally published by Joanna Basile at al.nd.edu on December 14, 2012.